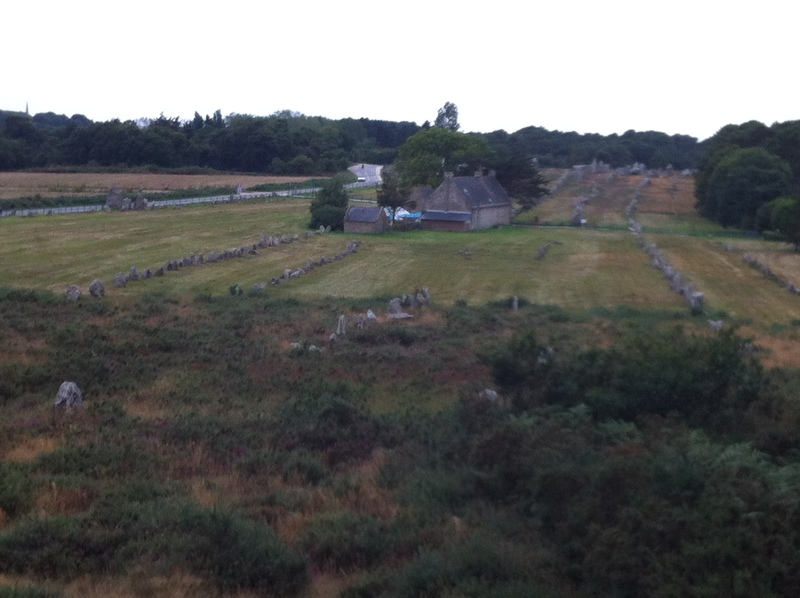 We pay a trip to the extraordinary site of Carnac. The fields for miles around are dotted with Neolithic stones, placed in mysterious alignments of up to 1.3 kilometers (roughly a mile). Constructed 3,500-4,5000 BC, some 6 thousand years ago, they are an amazing sight. 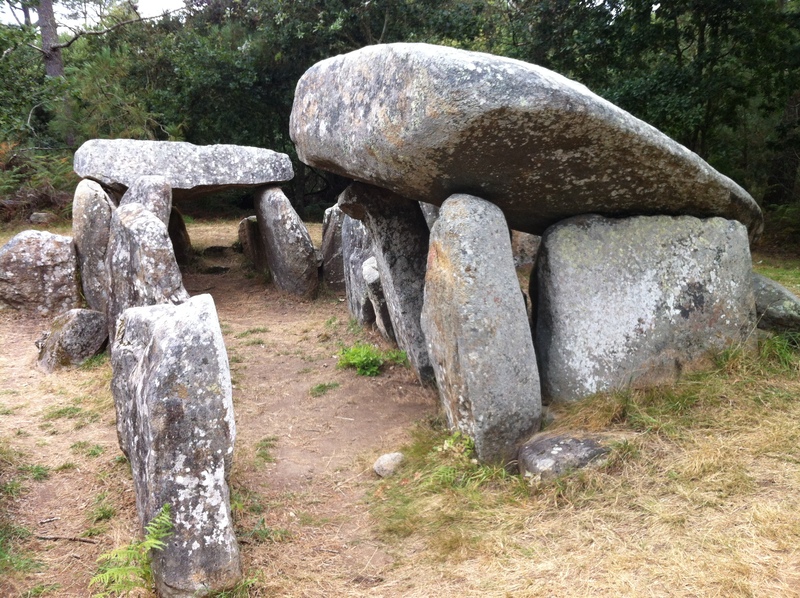 There are also dolmens like this one. The cap stone weighs 30-40 tonnes. Like all the thousands of standing stones, its lifting, movement and placement tell us of an amazing level of work and social organization. 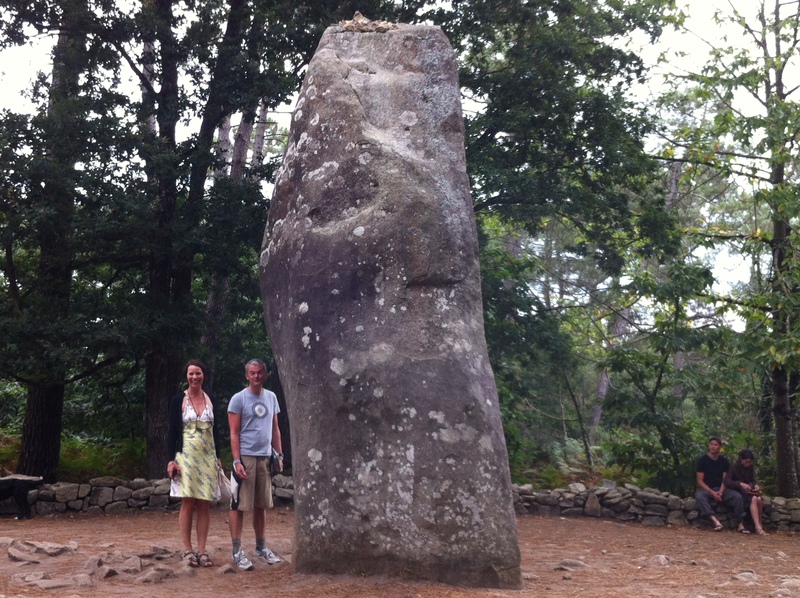 Even larger is this standing Menhir, below. 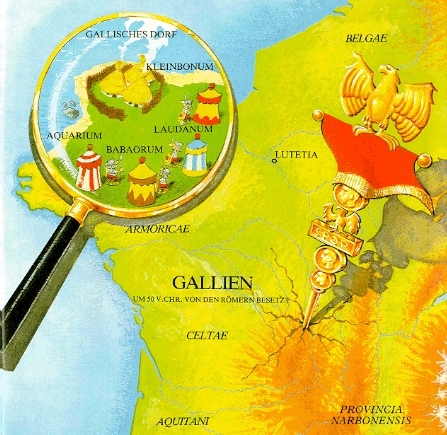 Anyone familiar with the Asterix books, (which are set in this area) knows Obelix. and knows that Obelix, stone mason; binge-eater of wild boar; beater of unfortunate Roman soldiers and constant companion to the hero, carries one of these Menhirs on his back. Not as big as this one though. Look at Mike and Lindsey standing beside it for scale. 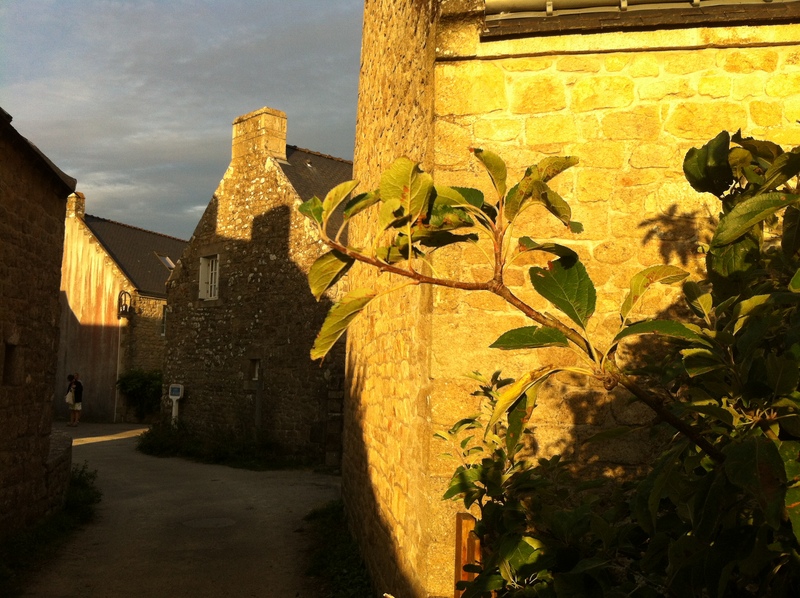 Towards evening, the sun comes out and makes the stone glow gold. 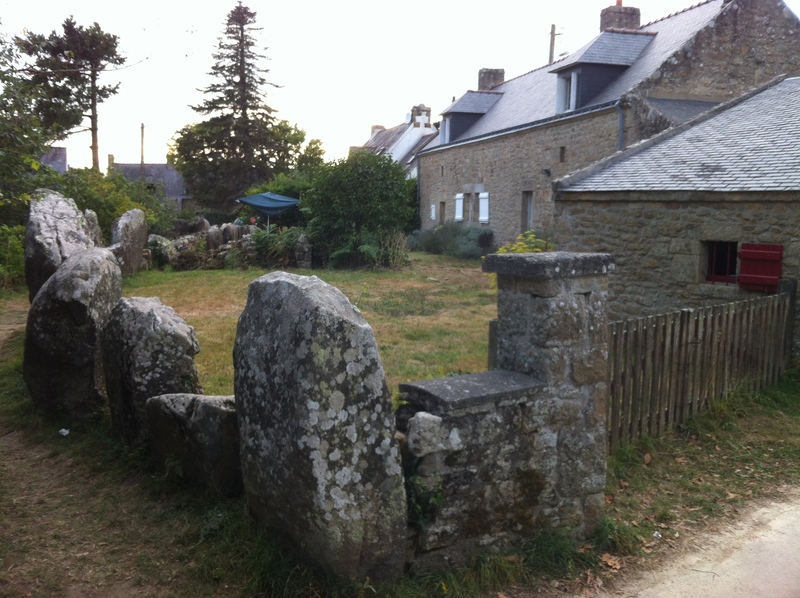 even if this family, below, have adopted the 4000-year old standing stones as their garden wall. Why not I suppose. I’ve read others, including the dolmens, have been used as hay barns and chicken sheds. I doubt it does them much harm. The only real crime is moving them. We, and our houses will come and go. The standing stones are likely to be here in another 6000 years and more. Nobody really knows enough about the ideas or beliefs of our ancient Neolithic ancestors to say exactly what the stones meant to them, although there is little doubt that Neolithic culture internationally was preoccupied with the heavens and the stars. In the early Christian era, one myth said the stones were an army of pagan warriors, turned to stone by a Pope ! 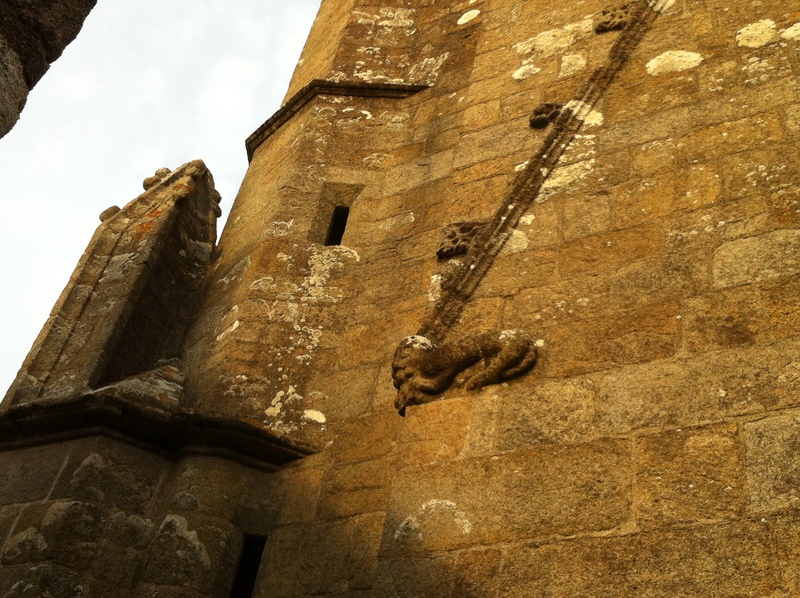 Others claimed it was a Celtic-Breton version of Merlin the Wizard, who did the magic, petrifying an entire Roman Legion! On balance I favour the Merlin theory. I’ve always been a fan. Fab! I would love a garden wall of neolithic arrangement. Thanks for sharing! I prefer the Merlin explanation as well. Those dolmens are incredible. I would have fun if I had them in my garden. Maybe it was an army of Merlins who accidentally turned themselves to stone. That would explain why the Romans won out for a while. 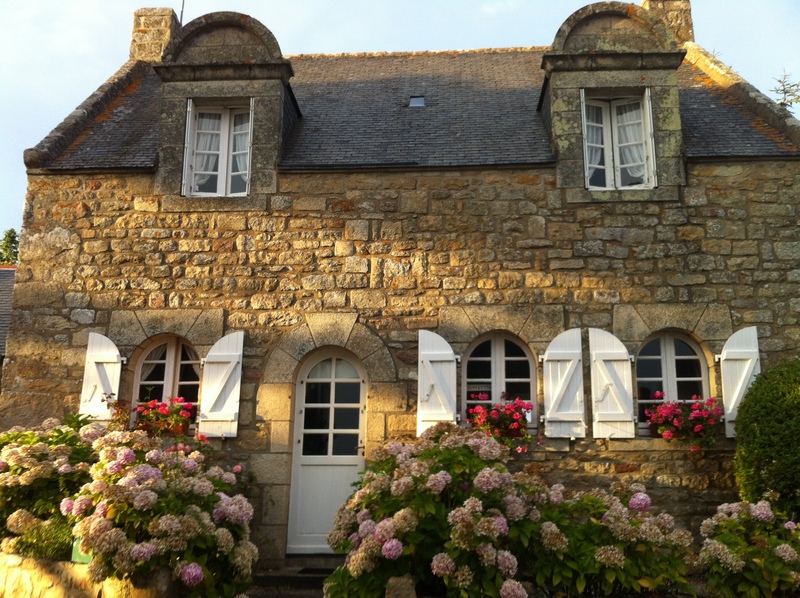 Previous Post Sailing Brittany part VII- Audierne to Concarneau. 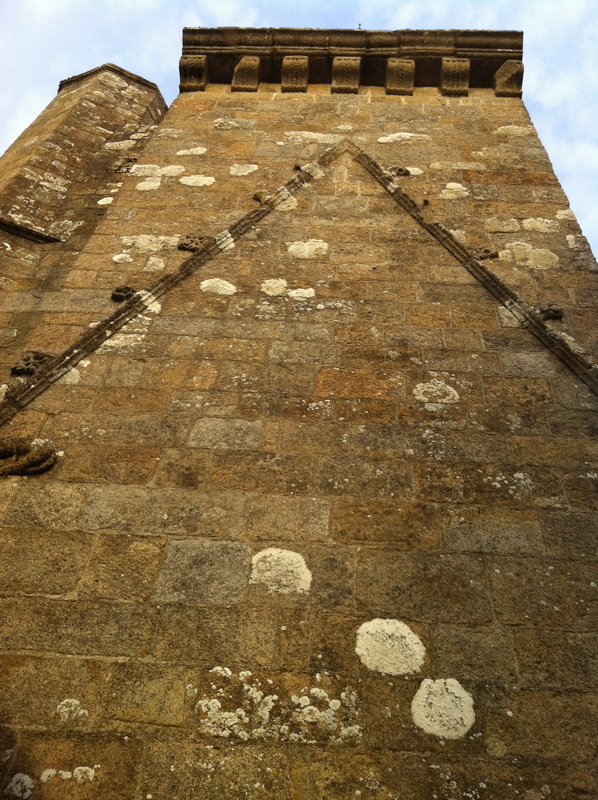 Next Post Pont Aven Washout & the Cathedral and the Bridges of Quimper.